Explore Las Vegas' surroundings by going to Valley of Fire State Park (in Overton) and Hoover Dam (in Boulder City). 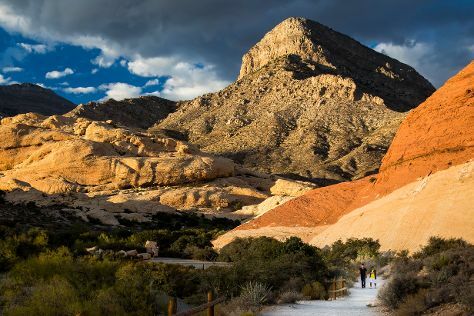 The adventure continues: explore the stunning scenery at Red Rock Canyon National Conservation Area, examine the collection at The Mob Museum, take in panoramic vistas at Eiffel Tower Experience at Paris Las Vegas, and push the limits with an extreme tour. To find photos, maps, and more tourist information, you can read our Las Vegas day trip site . In June, daytime highs in Las Vegas are 103°F, while nighttime lows are 77°F. Cap off your sightseeing on the 18th (Tue) early enough to travel back home.